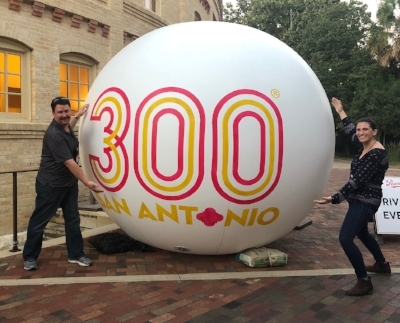 Campus District in San Antonio — Campus District Inc.
Campus District Inc. recently attended the 64th Annual International Downtown Association (IDA) Conference in San Antonio, TX from October 21st through the 23rd. This year’s event was the largest ever in IDA’s history, with over 950 urban management professionals in attendance. The conference featured a wide range of topics from streetscape management to event planning, transportation and marketing. This year also featured small breakout sessions where attendees could talk about any topic they wished and gain insight from one another. While the lesson’s learned will resonate in our work and conversations through the next year and beyond, we think it’s important to report back to the community on some key issues especially relevant to the Campus District. Quality of life issues are always major topics at every IDA conference I’ve attended. In the past the conversation has always been ‘what do we do about it?’ This year’s conference flipped that conversation upside-down; instead looking at solutions to some of the causes of these quality of life issues rather than just mitigating them. I had the opportunity to tour Haven for Hope in San Antonio, a 12-acre one-stop-shop for all social services in the city. The Haven for Hope complex has programming for anyone experiencing a housing crisis, including families who remain together. The center hosts a daycare, so parents can search for housing and employment during the day. Individuals can meet with any of their case workers, whether it be for substance abuse, mental health support, or job training right on site. Perhaps the most unique aspect to the center is the Courtyard. This is an outdoor area (although it now features an extensive roof) where individuals can hang-out all day and at night receive a mat and sleep outdoors. Public restrooms, showers, and lockers for weekly use are provided and individuals must be in the courtyard by 10pm each night. What is most interesting about the Courtyard for me has been the way its bridged the gap between San Antonio’s most shelter resistant individuals allowing them to begin accessing the services of the community, while physically not having to go inside. Over 1,700 adults and children are at Haven for Hope every night. Not all of the programs would work in Cleveland and the directors for the center are the first to admit that San Antonio has a serious lack of Permanent Supportive Housing, something Cleveland got right. However, there are elements, like having a secured storage facility for belongings, that would provide significant support to our most in-need neighbors. Dockless Scooters, Bikes, and E-bikes were all the rage this year. It seems that every city is in some way grappling with how to properly manage the scooter craze. Some, like Cleveland, have banned them, some have regulated them, some have issued RFPs. Ashville, NC found out at the conference that scooters had shown up in their city that morning. In Seattle, they’ve banned scooters but allowed dockless bikes, with over 75% of riders using them to connect into the transit system. In Nashville, after having two scooter operators suddenly arrive, the city removed them and then instituted regulations that included limiting the number of scooters in certain neighborhoods and creating an exclusion zone around major pedestrian areas using a GPS Geofence. Austin and Dallas now issue a permit and fees per vehicle, while Oakland is looking at placing fees on the use of scooters to pay for infrastructure like dedicated bike lanes. What is clear is we’ll need regulations to deal with micro mobility, in general, as technology continues to advance at a rapid pace. Today it’s dockless scooters and who knows what tomorrow will bring? If you do know, feel free to flag me down as I cruise the Campus District on my E-bike. Race, equity, and the role downtown organizations play in truly furthering those principles was a rallying cry at IDA this year. I attended two sessions where practitioners shared strategies for creating public spaces that are welcoming to all, measuring displacement and advocating for affordable housing dollars, and speaking truth with authority when it comes to our most vulnerable populations like those experiencing housing emergency. In Denver, increasing the marijuana tax will raise nine million dollars a year for affordable housing for those at 0-30% AMI. In Los Angeles, downtown leaders are researching international models of social recovery for individuals experiencing housing emergency and also suffer from mental illness. Examples from Charlotte, Vancouver, and San Antonio all emphasize that a holistic approach to neighborhood change—expansion of transit lines, programmed community space, support of local businesses, increasing social service support—is the only path to lasting impact. A session on place branding reminded attendees that putting people at the center of your brand is the key to success. This method places a premium on people’s stories and ensures that the representation of your neighborhood is an authentic one. 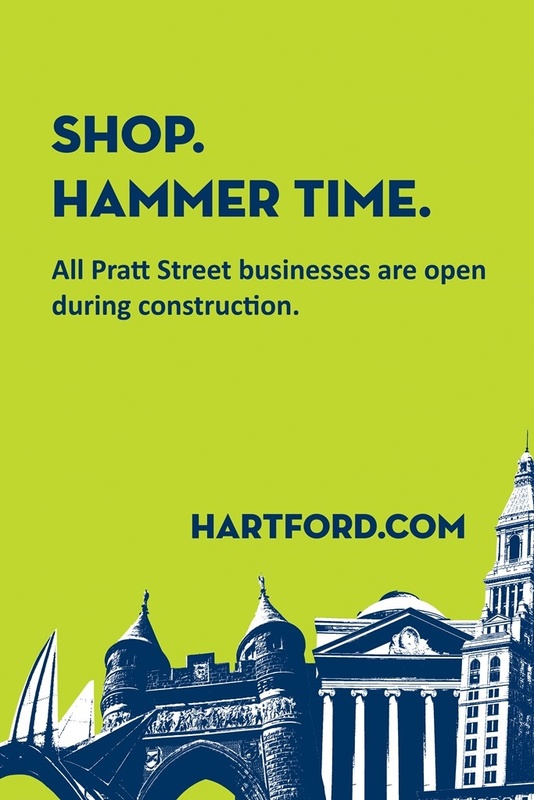 Examples include everything from a light festival in Huntsville, Alabama that places a literal spotlight on innovation through digital lighting experiences throughout its downtown, to clever signs in Hartford that aim to mitigate the negative effects of construction on the street-level by encouraging visitors to “Shop. Hammer time.”. Whatever the style of branding, the enduring lesson to community organizations was to learn the identity of your neighborhood and share what makes it special with others. If you are interested in these types of conversations in the Campus District please join us for the Marketing Task Force meeting on November 27th! We are exploring our collective identity and the ways we can elevate the amazing work that happens here everyday!